As a child of the 80’s, The Karate Kid holds a special place in my heart. Genuine performances and heartfelt teenage wish fulfillment allowed this flick to rise above a lot of similar fare in the decade of excess to become an enduring classic. That’s why this find from the folks over at One Cool Thing a Day has me so giddy. 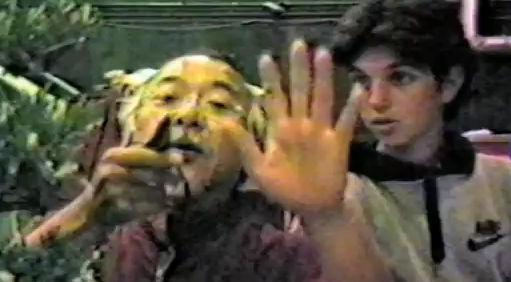 It’s an archive of the entire The Karate Kid movie being rehearsed by the actors and stuntmen. Not just the fight scenes either, but every scene, nearly shot-by-shot. It’s a very cool archive of a bit of film history that had an impact on me, as well as a study in just how close some movies are to the way that they have been blocked and rehearsed ahead of time. Check out some of my favorite segments below, and head over here to see the rest in chronological order.